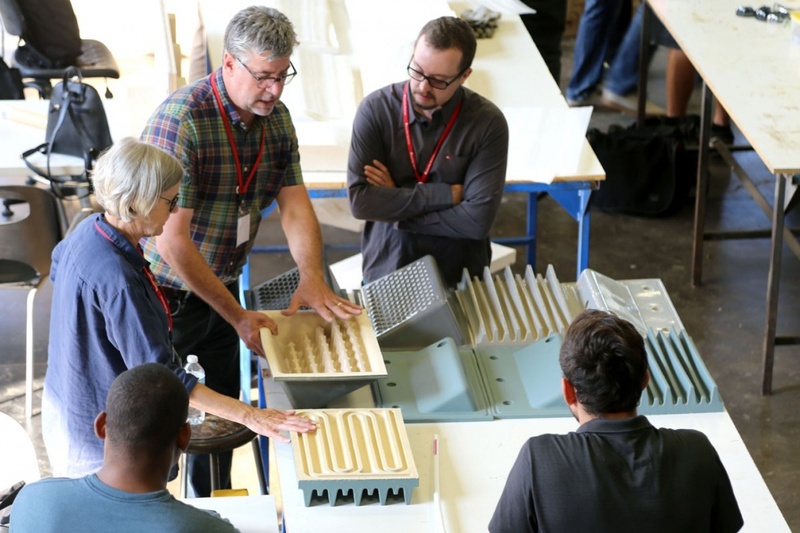 For a third year, experts in the fields of architecture and design will gather in Buffalo, New York to attend the Architectural Ceramic Assemblies Workshop (ACAW) being held Monday, August 13 through Thursday, August 16. Presented by Boston Valley Terra Cotta and the University at Buffalo School of Architecture and Planning and supported by the UB Sustainable Manufacturing and Advanced Robotic Technologies (SMART), the weeklong workshop combines the models of academic research, artistic experimentation and industry expertise to explore the design of ceramic components for large-scale production. This year’s event will be highlighted with a keynote presentation from Christopher Sharples, Principal of SHoP Architects. Following two successful events, this year’s ACAWorkshop looks to build upon the knowledge gained from the previous workshops. The teams began working earlier this year, developing prototypes that explore the use of terra cotta for bioclimatic systems, and most importantly, consider the materiality and production of terra cotta in the design of the building’s envelope. By focusing on the design of building envelopes simultaneously with the development of production of the assembly, Boston Valley believes that architects will walk away from this experience with the knowledge of how to utilize the manufacturing process in order to create a better building. The work put into ACAW will culminate in a final presentation of each teams’ findings on Thursday August 16, 2018. 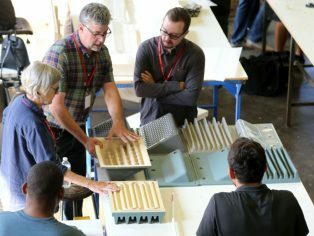 The Architectural Ceramic Assemblies Workshop is jointly housed between the production facilities of Boston Valley Terra Cotta in Orchard Park, NY and the University at Buffalo School of Architecture and Planning’s SMART Lab, with events in some of Buffalo’s most significant historical locations including the Frank Lloyd Wright’s Darwin Martin House and the recently renovated H.H. Richardson Complex. Returning speakers include Dr. William Carty, the John F. McMahon Professor and Chair of Ceramic Engineering at Alfred University, and Anne Currier, sculptor and professor emerita from Alfred University and the 2017 Virginia A. Groot recipient. New speakers to the event include Matthew Krissel, Partner with KieranTimberlake and Craig Copeland, Associate Partner with Pelli Clarke Pelli Associates. Thursday’s final presentation at the Hotel Henry is open to architectural and ceramic professionals and will be followed by a keynote address and reception. Christopher Sharples’ keynote address will begin at 5:30pm.